of the one across to the right of it." .... Shortly after BAKER commission-testified with respect to his hearing the first blast or shock wave that he remembered hearing (or could hear) that was fired from the Depository or the Dal-Tex Building, the Warren Commission commissioner's and lawyers, suddenly, ceased recording his testimony. They then went quickly “off-the-record” for private (anxious?) “discussions” among themselves .... During BAKER’s testimony (as with many key witnesses whose testimonies also indicated the conspiracy) there were many such Warren Commission “off-the-record,” sudden, private, anxious, commissioner's-with-their-lawyers gatherings. 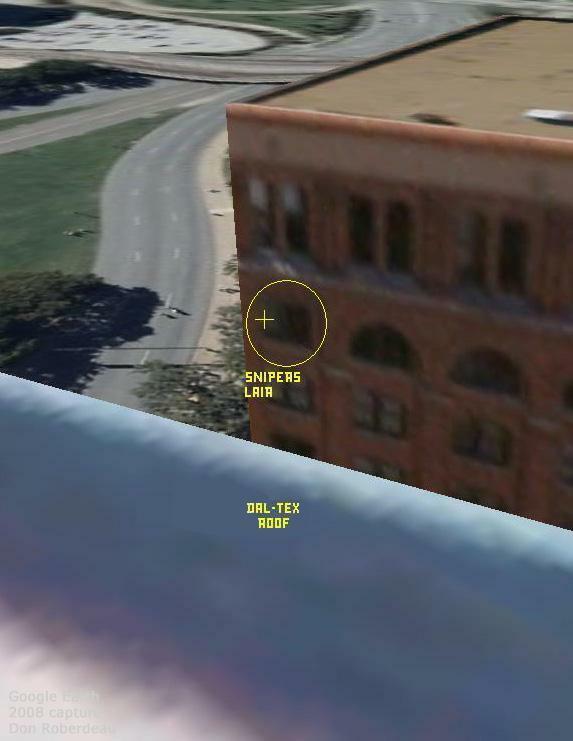 lower-in-roof-height Texas School Book Depository. the Depository Warren Commission-apologists, supposed, "lone-nut"
ahead of time that must follow the assassination. duplicate . . . .
lair” of a near matching 3 to 5 degrees.... and at Z-223 a near matching 6 to 8 degrees. duplicated . . . .
level with their ears, from the distinctly separate grassy knoll. . . . . First . . . .
gore that ejected forward, backward, upward, downward, rightward, & leftward. . . .
. . . . After . . . . a micro-second of a pause . . . .
. . . . his head, his shoulders, his arms, his hands, and, in fact, the President's entire upper torso of his 178-pound body, were all rapidly accelerated at a constant speed upward and reversed, wback-and-to-his-leftw (and importantly, also overcoming the forward speed of the limousine, and overcoming the magnified even more-forward speed of inertia caused when the driver quickly stepped on the brake just before the already leaning forward and seatbelt-less President’s head exploded). Then, his head was rotated even further leftward, until his entire upper torso of his body was slammed into, then bounced off, the seat backrest vertical cushion. could be many things, but it was clearly not a rifle shot. summer; not the Dallas Police tape from 1963.
minded to the concept under investigation by his Committee." evidentiary indications of, at least, the second assassin. CAROL HEWETT research study, "Silencers, Sniper Rifles & the C.I.A." relation to my location on the NORTH SIDE of the Elm street curb. INSTANT of moving behind the "LEADING EDGE" of the SIGN!!! GO TO THAT GENERAL AREA WITH HIS HANDS!!! 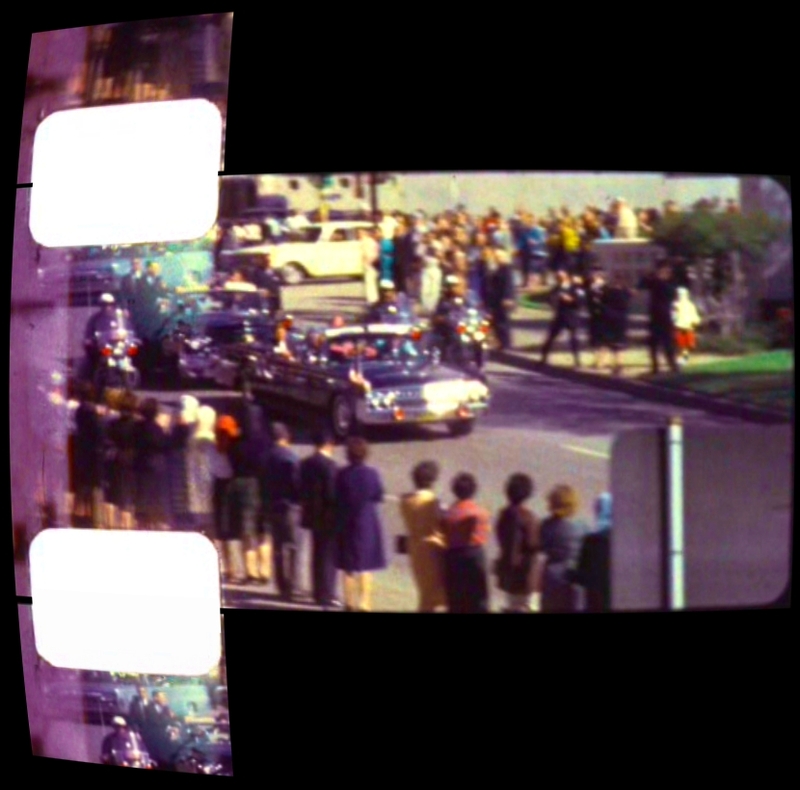 film, while Mr. Zapruder tracks with JFK while the shots were still being fired. . . . . and that military veteran BREHM . . . .
"seemed to think the shots came from in FRONT of, or, BESIDE the President." 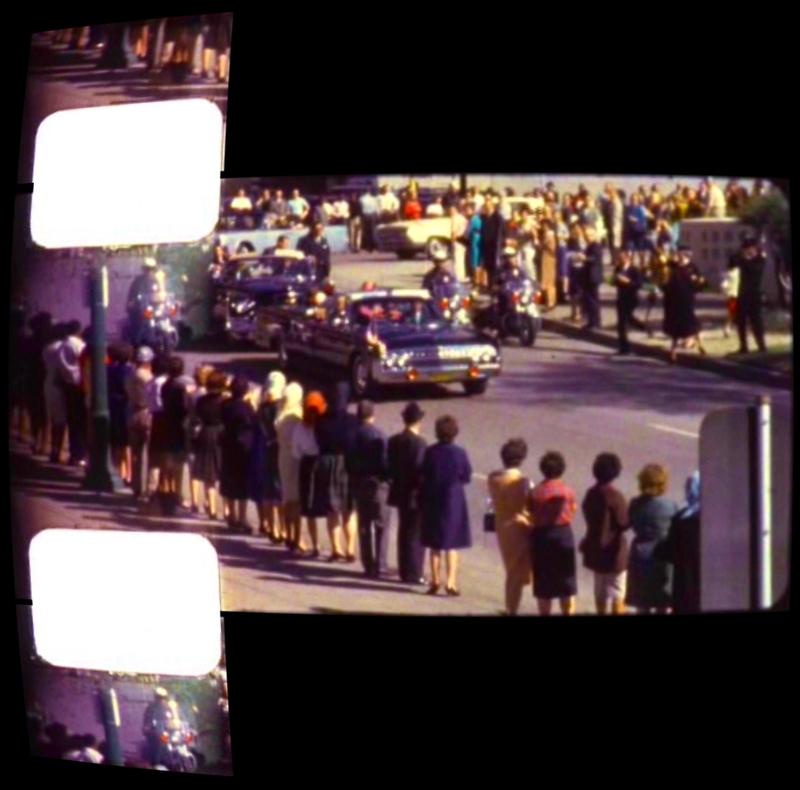 cropped in on President KENNEDY that plays at approximately 72 % of actual average speed, and is initially accompanied by the 11-22-63 audio recorded description of President KENNEDY's instantaneous reaction to being impacted with the first shot, as seen and audio recorded by extremely close assassination eyewitness, Mr. CHARLES BREHM, the WWII, D-Day, U.S. Army Ranger, battles experienced veteran . . . . Several times Mr. BREHM, as also did many additional close witnesses, details President KENNEDY’s nearly instantaneous first reaction to being impacted with the first audible muzzle blast (or first impacted with the first mechanically suppressed-fired "silenced" bullet bow shock N-wave that a witness remembered hearing or could hear) . . . . Also in this video, the ZAPRUDER film segments are followed by the kill zone end-of-attack sequences from the films captured from opposite Mr. ZAPRUDER's location by MARIE M. MUCHMORE and ORVILLE ORHEL NIX, SR.
appeared to be a rifle shot sounded. was apparently pulling him in that direction. action rifle, take aim, and fire three shots. 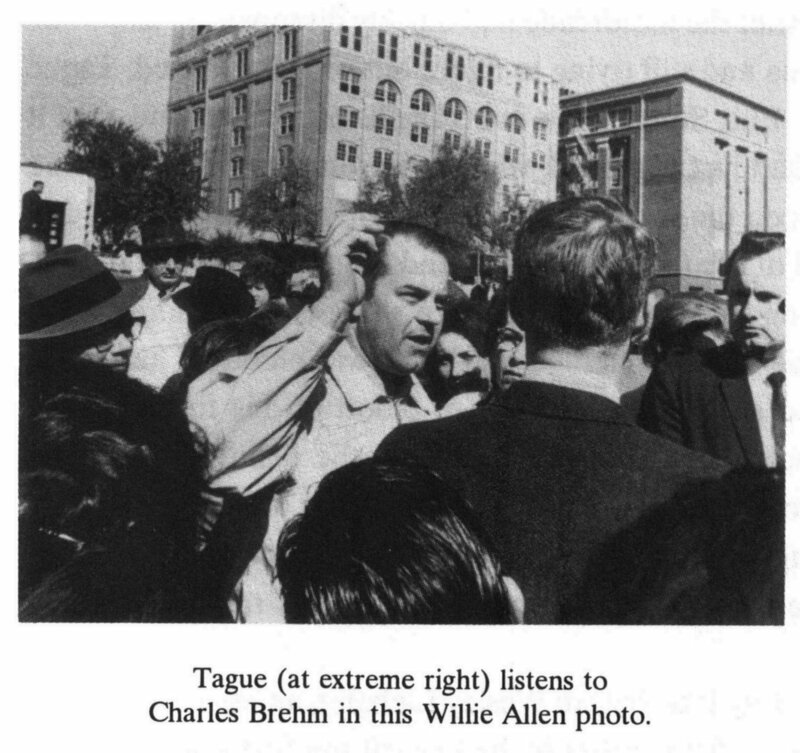 & very close Dealey Plaza attack witness, in his F.B.I. "I saw a piece fly over in the area of the CURB where I WAS STANDING. .... It seemed to have, have come LEFT , AND BACK. .... Sir, whatever it was that I saw did fall, both, in that direction, and, over INTO THE CURB there." In contrast to President KENNEDY, Mrs. KENNEDY, and JOHN CONNALLY’s abrupt, discontinuous, and rapid reactions that occurred nearly in unison within less than 1-second of each other from Z-155 to Z-169, all of the occupants of Vice President LYNDON JOHNSON’s light silver-blue convertible who time stamped their location when the attack started and they heard the first shot they could hear (and further supported by many additional close witnesses in their follow-up murder-cade vehicles who also time stamped their location when the attack started) have stated that their car had already completed their turn onto Elm Street, and, further detailed that their JOHNSON convertible had already completed straightening out when the first “shot” volley was fired (albeit the first audible muzzle blast, or, the first "silenced" mechanically suppressed-fired super-sonic bullet bow shock N-wave, or, the first "silenced" mechanically suppressed-fired sub-sonic bullet that he/she was able to hear, or, that they remembered hearing). Many witnesses very similarly compared the first “shot” that they remembered hearing (or, could hear) to a vehicle backfire and/or a firecracker, and many witnesses stated that it sounded distinctly different than the follow-up vollies. "He [Secret Service Agent RUFUS YOUNGBLOOD, my insertion] stepped over into the back seat and sat on the Vice President. He sat in a crouched position. During this time he heard two more shots. He doesn't know if they came after he was on top of the Vice President, but Mr. Johnson told him that was so." "Clifton C. Carter, riding in the Vice President's follow-up car a short distance behind, reported that Youngblood was in the rear seat using his body to shield the Vice President before the second and third shots were fired." also determined that it required a MINIMUM of 2.80 seconds* to trigger a shot . . . .
. . . . and then . . . .
. . . . fire the follow-up bullet . . . .
. . . . and the commission tests to time the rifle in evidence manual bolt recycle time were not concerned with shooting accuracy……their recycle tests were only concerned with recycling the rifle in evidence as fast as possible . . . .
. . . . not even allowing MORE TIME when the just-fired rifle jumped off target . . . .
. . . . and even MORE TIME needed by an assassin to move the rifle back onto target . . . .
* the F.B.I. test fired the rifle by shooting only at stationary targets. personal notes she wrote right after the assassination. were rapidly bunched together - not further apart than the first two shots - as the Warren Commission-apologists, current, theory demands. the air, but she never looked up in that direction." 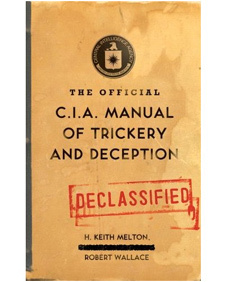 (12-4-63 voluntary statement to the F.B.I. by very close Dealey Plaza witness Mrs.
the Depository she remembered hearing (or could hear) 4 audible muzzle blasts or "silenced"
time the last two shots were fired." (Voluntary statement to the F.B.I. 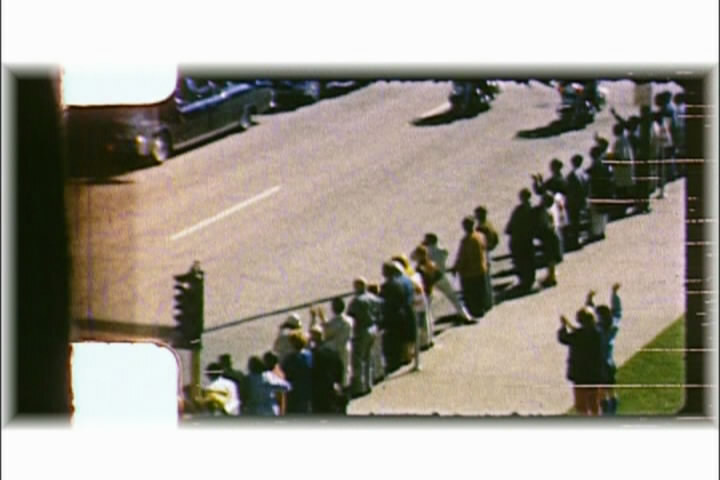 by very close Dealey Plaza witness Mr.
and then, 'Bam' and then a short pause - 'Bam' "
"I heard one shot, and then a pause, and then this repetition ---- two shots right behind the other, and I thought it was backfire from a car and I said, 'Someone shot the president.'" "It seemed like there was more time between the first and the second shots than between the second and the third. The second and the third were pretty close together." "As we turned off Houston onto Elm and made the short little dip to the left going down grade, as I said, we were away from buildings, and were there was a sign on the side of the road which I don't recall what it was or what it said, but we no more than passed that and you are out in the open, and there is a report like a firecracker, pop. And I turned my head to the right." "I turned around to find out what happened when two additional shots rang out and the President slumped into Mrs. Kennedy's lap and Governor Connally fell to Mrs. Connally's lap." "if I recall correctly these were two sharp reports, sir." Did they sound different from the first shot?, asked SPECTER. "Yes. Definitely. Very much so." KELLERMAN testified. "Let me give you an illustration . . . . You have heard the sound barrier, of a plane breaking the sound barrier, bang-bang? That is it. It was like a double-bang: Bang-bang." "The last two seemed to be just simultaneously, one behind the other…"
Mr. ROBERT MacNEIL video interview . . . .
...... that Mr. MacNEIL, like a "substantial majority" of the witnesses, also very similarly, exactly described . . . .
this exact same shots pattern: = that the last 2 audible muzzle blasts or "silenced"
...... and several of these last 2 audible muzzle blasts or "silenced"
been fired by just one, manually operated, bolt-action weapon. shots volley's sequencing, and the shots close bunching . . . .
"The second two shots were immediate. It was almost as if one were an echo of the other, they came so quickly; the sound of one did not cease until the second shot. With the second and third shots I did see the President being hit. I literally saw his head explode. 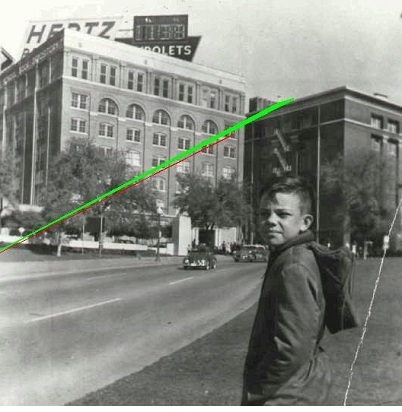 So, I felt that the shots had come, as I wrote in my article, from behind me and to my right -- which would have been in the direction of the grassy knoll and the railroad overpass." "There might have been two blasts at one time." "I heard a shot ring out, a couple seconds elapsed and then two more shots ring out. I immediately ran to the area from which it sounded like the shots had been fired. 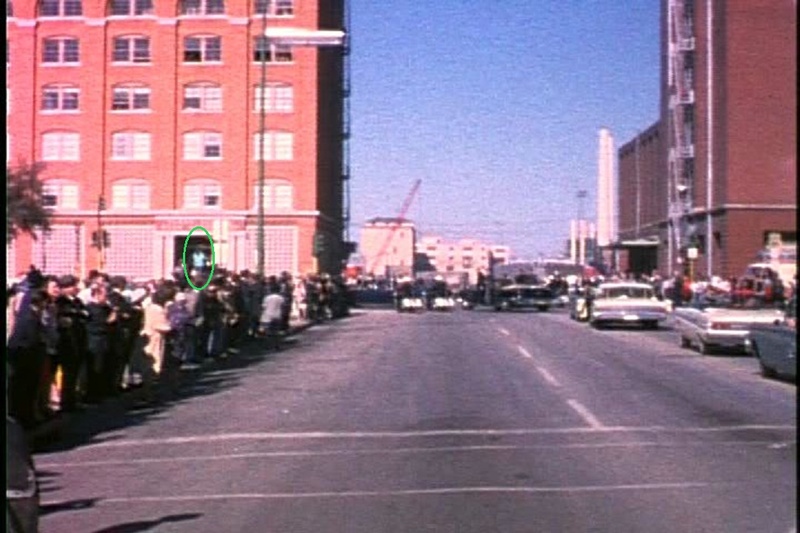 This is an area between the railroads and the Texas School Book Depository which is east of the railroads." “Bam! ---- bam bam!” The last two [were] clustered together. 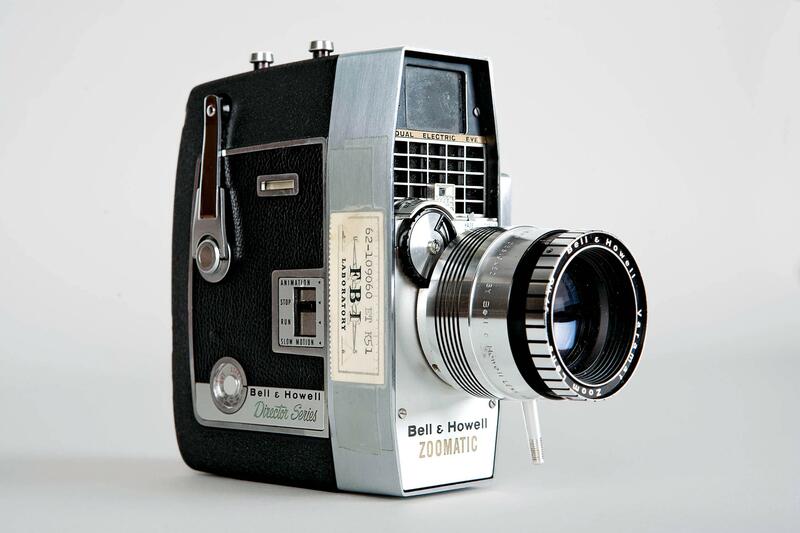 a short lapse there between the first and second shot." "Well, that was, from the echo of the shots, we thought they came from that direction." because that’s the part I saw blow out.... then, the skin went back in." Assassination Medical Reference; The Principal Witnesses on November 22, 1963"
HARGIS was not sure if the President's head exploded with the 2nd or 3rd audible muzzle blast and/or mechanically suppressed-fired "silenced" bullet bow shock N-wave of the 3 that HARGIS remembered hearing (or could hear). His motorcycle was located only 14' to President KENNEDY’s back and left when the President's head initially exploded at Z313. 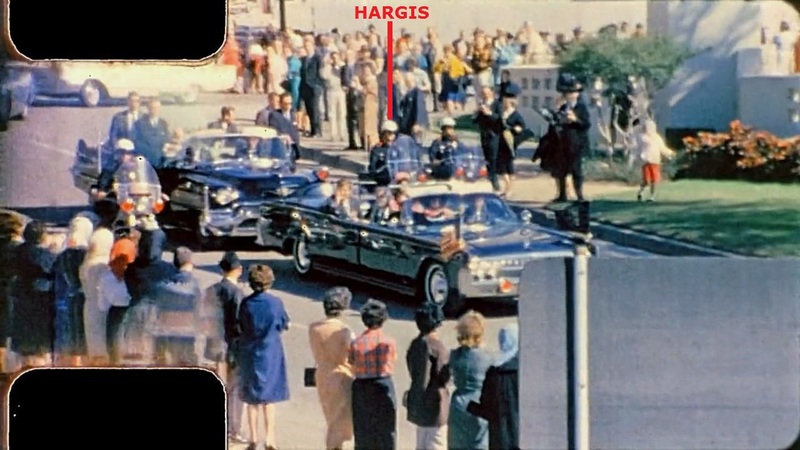 HARGIS stated that after the “first explosion” that he remembered hearing (or could hear), he then immediately turned his head towards the limousine ~~~~ as documented in the ZAPRUDER film, HARGIS first gradually starts turning his head towards the limousine starting at Z-202 to 203 ~~~~ THEN, he remembered hearing (or could hear) 2 more gunshots volleys. When the President’s head did explode, HARGIS also stated that it, definitively, physically felt that he was suddenly struck by something with so much force that he felt that he had also been shot. Riding in the Vice Presidential car, RALPH WEBSTER YARBOROUGH, the United States Congressman from Texas who was also World War II veteran who served honorably with the United States Army’s 97th Infantry Division who was expertly qualified in the battlefields use of rifles, carbines, pistols and bazooka’s, and as of 11-22-63 he was still an active hunter with rifles and shotguns, was a very, very close Dealey Plaza witness, and political enemy of LYNDON JOHNSON (whom JOHNSON had argued about with JFK when JOHNSON heatedly tried a few hours before JFK's elimination to convince JFK to switch YARBOROUGH into sitting in CONNALLY’s presidential limousine seat - next to JFK). .... the wind was documented in the many films and photos to be blowing in its north-easterly direction from the underpass and the grassy knoll, in its direction from YARBOROUGH’s front, TOWARDS YARBOROUGH’s back, which was simultaneously blowing TOWARDS the Depository, and simultaneously blowing TOWARDS the Warren Commission-apologists, supposed, "lone-nut" “snipers lair” behind YARBOROUGH. it came from the underpass." "The Presidential vehicle was approximately 200 feet from the underpass when the first shot was fired, followed in quick succession by two more. I would estimate that all three shots were fired within 5 seconds. After the second shot, I looked at the President and witnessed his being struck in the head by the third and last shot." "I looked towards the top of the terrace to my right as the sound of the shots seemed to come from that direction." "There was to me about twice as much time between the first and second shots, as there was between the second and third shots." “The last two were closer than the first. nearly directly under the Warren Commission-apologists, supposed, "lone-nut" "snipers lair"
could hear) an additional, distinctly separate, 4th shot. Additionally, after Mr.
suit coat or "sporting" jacket. Mr. Lovelady: After he had passed and was about 50 yards in front of us, I heard three shots. There was a slight pause after the first shot, then the next two was right close together. Mr. Ball: Where was the direction of the sound? Mr. Lovelady: Right there around that concrete little deal on that knoll. Mr. Ball: That's where it sounded to you? Mr. Lovelady: Yes, sir; to my right. I was standing as you are going down the steps, I was standing on the right, sounded like it was in that area. Mr. Ball: From the underpass area? Mr. Lovelady: Between the underpass and the building right on that knoll. and I realized it was a rifle, and then, almost immediately, a third shot." 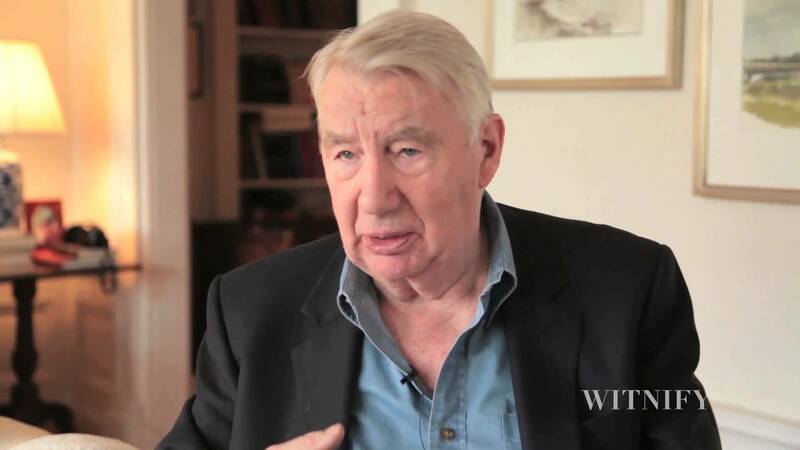 stated as also heard by the Warren Commission-admitted "substantial majority"
Mr. WEITZMAN: First one, then the second two seemed to be simultaneously. Mr. BALL: You mean the first, and then there was a pause? Mr. WEITZMAN: There was a little period in between the second and third shot. Mr. BALL: What was the longest; between the first and second, or, the second and third shot? Which had the longest time lapse in there? Mr. WEITZMAN: Between the first and second shot. Depository building. And UPI's Merriman Smith reported it first. "The first shot, I thought it was a motorcycle backfiring," he said. "I thought Kennedy was just playing, throwing his hands up in the air pretending to protect himself." that Mr. TEMPLIN remembered hearing (or could hear). Mr.
also very rapidly raised both of his arms protectively.
" President Kennedy had just looked in their direction and waved when she heard a rifle shot. Shortly thereafter, she heard another rifle shot and then a third. " front steps directly beneath the Warren Commission-apologists, supposed, "lone-nut" “snipers lair," in her F.B.I. was fired that Mrs. DEAN remembered hearing (or could hear). down the hill toward the underpass...."
the Depository, "down the hill toward the underpass"
in which Secret Service Agent WARREN “Woody” W. TAYLOR was riding) "had already gone around the corner,"
"Mrs. MOONEYHAM heard a gunshot and observed President KENNEDY slump to the left of the seat of the car. At the time of the initial shot, Mrs. MOONEYHAM believed that a firecracker had gone off. Following the first shot, there was a slight pause and then two more shots were discharged, the second and third shots sounding closer together." "I looked and saw the president, I thought, duck. Evidently, he was slumping at the time." sure, and I didn't look any more then. I thought he was ducking then." Close attack witness Mrs. JUNE DISHONG keenly watched from her Elm Street north curb exact location when President KENNEDY passed his closest to her and she heard the first of 3 "shots" (albeit audible muzzle blasts, and/or, mechanically suppressed-fired bullet bow shock waves, and/or, the first of 3 volleys of very closely-bunched "canyon" shots) that she remembered hearing (or could hear) at approximately when President KENNEDY was his most closest to her. She also watched the President immediately, very quickly react to his being impacted with the same first audible blast or "silenced" bullet bow shock wave that DISHONG remembered hearing (or could hear). All day on 11-22-63 Mrs. DISHONG hand wrote into her portable journal for us her very vivid observations, including her very detailed, salient attack observations, when Mrs. DISHONG heard the first of her remembered 3 blasts or bow shock waves precisely when President KENNEDY was his exact closest to her, at only 17' away. Even though she was a normally very gregarious, very talkative person with her Family, Loved Ones, and her friends, her daughter expressed to me that JUNE almost never spoke of her being a very close witness to President KENNEDY’s shooting because it greatly saddened her for the rest of her life. Shortly after Mrs. DISHONG passed-on, her daughter discovered her Mother's 11-22-63 hand written, detailed observations in her journal. After speaking with her daughter, she agreed to provide me with Xeroxes of the 10 pages of the observations her Mother wrote starting early on the morning of 11-22-63 (her journal has now been donated to and can be viewed online at the following "Sixth Floor Museum in Dealey Plaza" webpage, in the right hand column. I have also provided a transcript of it for you, here). 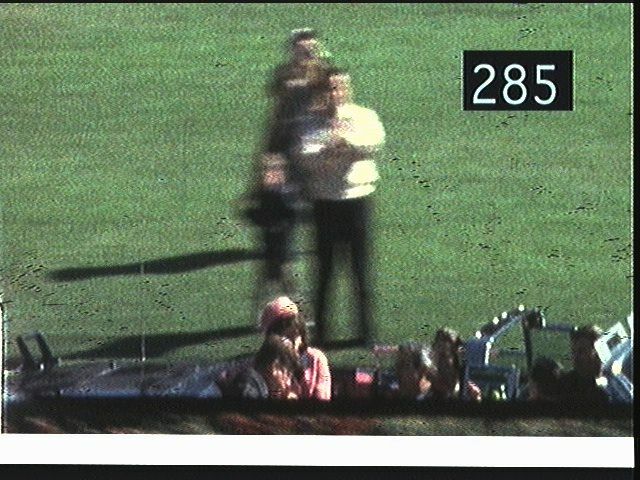 Read the detailed, moving words of the woman, forever documented in the ZAPRUDER film as the 4th woman seen to the left of the "Stemmons" freeway sign, as President KENNEDY is first bullet impacted (not necessarily when he was first shot at) and President KENNEDY immediately instantaneously reacted to his being impacted, when the President passed very, very close to Mrs. DISHONG. 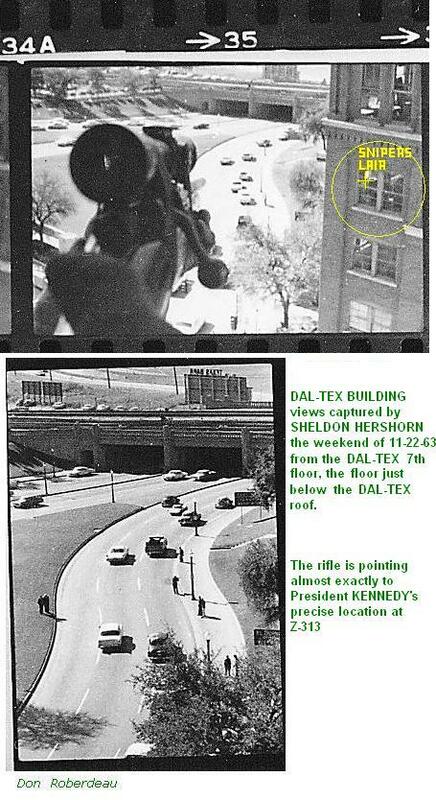 Very, very significant, and exactly as Dr. GLOVER stated to me in her detailed assassination observations, as documented on the above precisely scaled map, President KENNEDY was first blocked out of her view when the pyracantha tree foliage first started to block JFK from her view at Z-174 to 175. 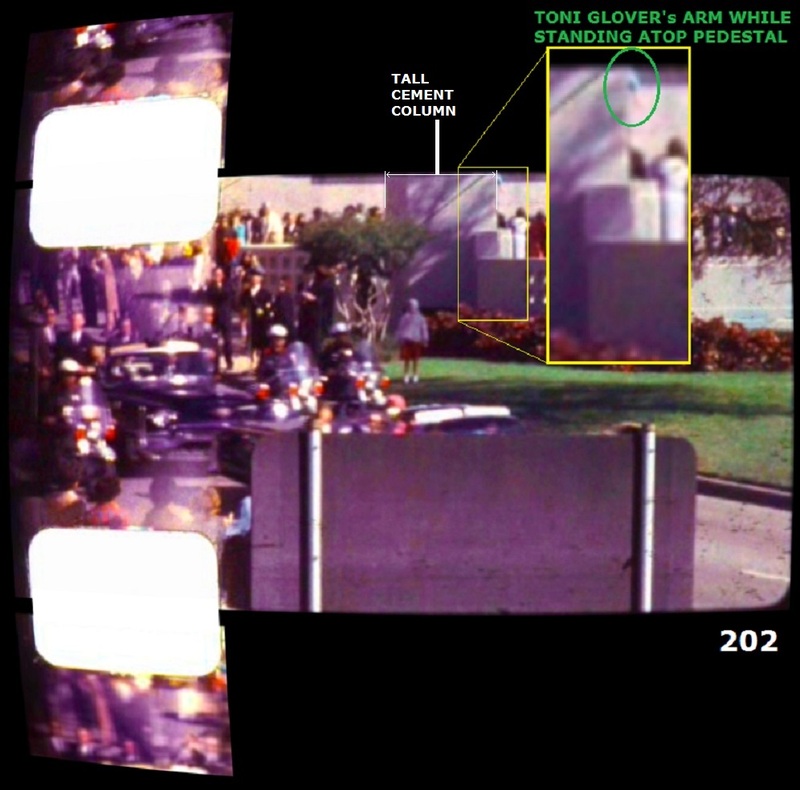 That same Z-174 to 175 instant is when Dr. GLOVER’s view of JFK was first blocked out of her view because of the pyracantha tree foliage edge. That pyracantha tree is labeled “TGt-1” on my scaled map. 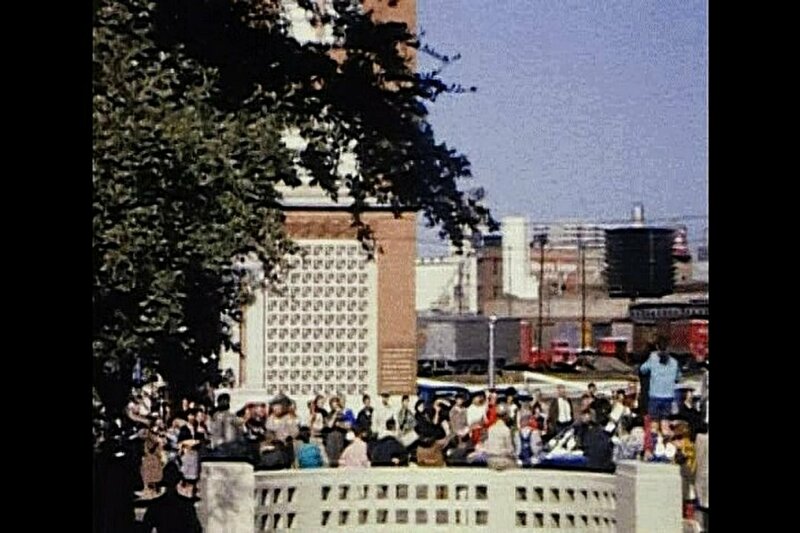 That same pyracantha tree is also seen in the ZAPRUDER and other films and photos, and it is located a few feet west of the large, tall, five-sided cement column that also blocked Dr. GLOVER’s view of the President. . . . . Additionally, while speaking with Dr. GLOVER I nearly immediately had a sense about something with respect to her that after our first of many conversations I then checked several times to confirm and positively make sure.... Dr. GLOVER was absolutely thrilled when I shared with her my discovery that her turquoise-blue coated shoulder, arm, and hand is also actually visible in several frames of the ZAPRUDER film, in the exact location where she stated she was standing!
" First of three shots fired, at which time I saw the President lean toward Mrs. Kennedy. I do not know if it was the next shot or third shot that hit the President in the head, but I saw what appeared to be a small explosion on the right side of the President's head, saw blood, at which time the President fell further to his left. " " When I turned around to wave the Vice President's car to come closer, at same time, trying to determine where shots had come from, I said, pointing to SA McIntyre, 'They got him, they got him,' . . . . "
Mrs. KENNEDY, then raised his arms and leaned towards his wife. "The nurse dropped one of John's gold cuff links, made with a Mexican Peso, into my hand. The other had been shot off."